Dusky dolphins (Lagenorhynchus obscurus) are small cetaceans that grow up to 210 cm (6 feet) in length and 100 kg (210 pounds). They are found in coastal waters in multiple regions of the Southern Hemisphere. They prefer cool currents and eat an array of fish and squid. They are known for extraordinary aerial acrobatics. They often form large groups when feeding, sometimes including hundreds of individuals. 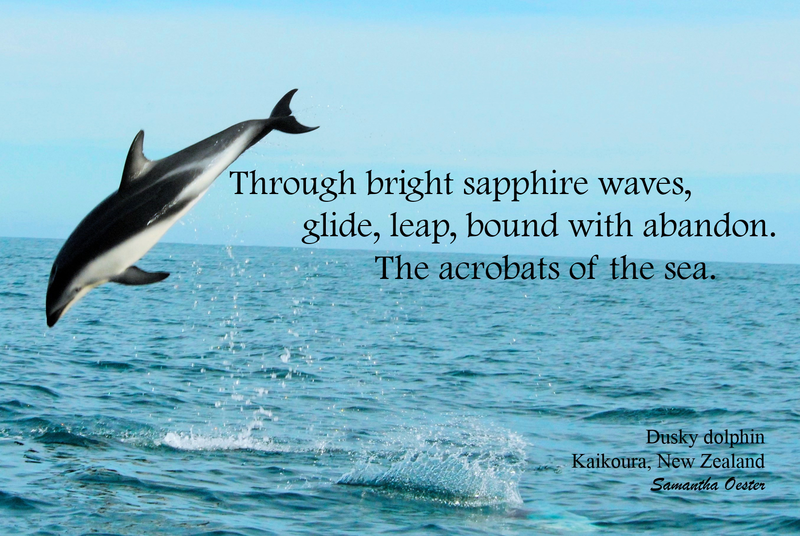 The status of dusky dolphins is not known, as not enough data has been collected to assess the species globally. However, they were previously a popular target of small cetacean fisheries. Populations around South America, especially Peru, have been overexploited. Dusky dolphins were being heavily targeted in multi-species cetacean fisheries in Peru in the 1980s and 1990s. Tens of thousands of individuals were estimated to have been caught. They are also caught in gillnets as bycatch in New Zealand and mid-water trawls off the coast of Argentina, but improved methods for fishing in these areas is helping to decrease the number accidentally caught in fishing gear. Dusky dolphins are now protected in much of their range, as part of national marine mammal protections and international cetacean protections. But, hunting them is believed to continue in some parts of South America, despite bans. Being on a boat, surrounded by leaping and flipping dusky dolphins was an incomparable, spectacular experience. I had to put the camera and notebook down, take a step back, and take it all in. I knew it was an awe-struck feeling I would want to remember.